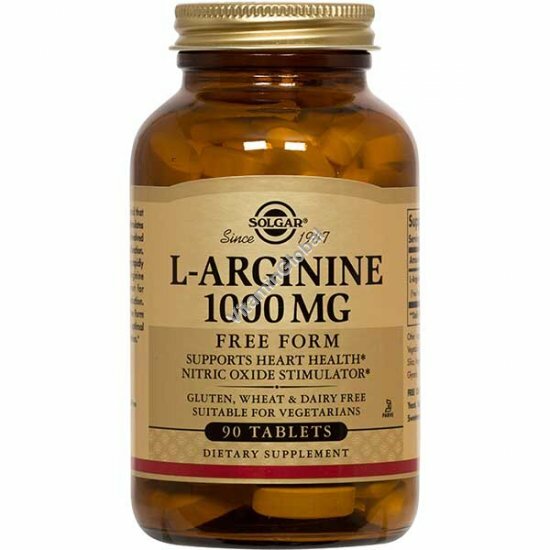 L-Arginine is an amino acid that promotes heart health. It stimulates nitric oxide, a compound involved in circulatory function. Nitric oxide degrades very rapidly after its formation. L-Arginine serves as the precursor for continued nitric oxide production. This product provides Free Form L-Arginine to promote optimal absorption and assimilation. Directions: As a dietary supplement for adults, take one (1) tablet three times daily, between meals, or as directed by a healthcare practitioner. Available in packages of 90 tablets. If you are pregnant, nursing, taking any medications or have any medical condition, please consult your healthcare practitioner before taking any dietary supplement.